Shayba Muhammad, founder of The Makers Program. It’s been a busy year for Shayba Muhammad, founder of The Makers Program. When her brainchild, The Makers Program, was named a winner of the Arts and Education Council’s 2018 stARTup Creative Competition, she immediately plugged into the resources that competition provided. Sure, there was seed funding, but the prize was much more than that. Muhammad started attending Leadership Roundtables, a professional development and networking series run by the Arts and Education Council and facilitated by The Rome Group for arts leaders to confidentially discuss shared challenges. “Those conversations have helped me think through whether the future of The Makers Program is a nonprofit or a for profit and how we can best serve the community,” Muhammad said. With a year of free office space in the Centene Center for the Arts, Arts and Education Council staff also mentored Muhammad regarding her startup’s marketing, fundraising, programming and operations. In January, she launched a 12-week training course for artists of color to scale their early-stage businesses. Topics, taught by local experts in the field, included wholesale, branding, marketing, taxes and more. 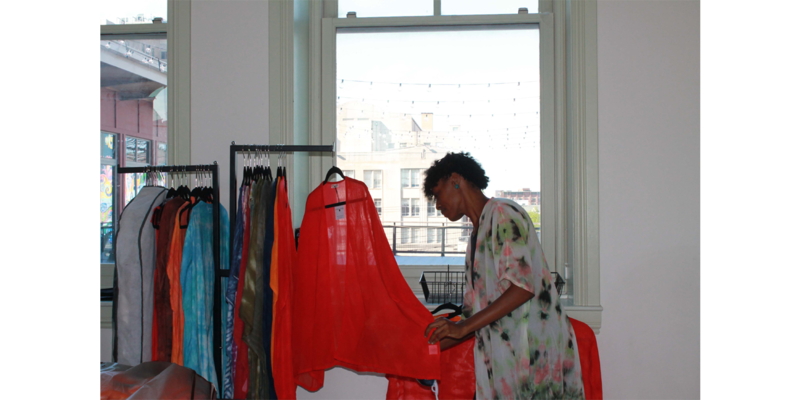 On April 7, the 12-week training program culminates with The Makers Mart, a free, pop-up style shopping event featuring 15 Black and Latino artists selling products ranging from jewelry and clothing to pet food and stationery. There will be interactive workshops, food, and networking for guests to enjoy. The fall 2019 cohort of The Makers Program will launch August 11. Applications are now open. The Makers Mart is Sunday, April 7, from 12:00 p.m. to 4:00 p.m. at the Centene Center for the Arts (3547 Olive Street St. Louis, MO 63103). Tickets are free and can be reserved here. The Makers Program is a 2018 stARTup Creative Competition winner. 2019 finalists have been announced. The stARTup Creative Competition, a partnership between the Arts and Education Council and PNC Foundation, encourages the development of great ideas with art at their core that strengthen and enhance the St. Louis arts community.